Actually, I think the figure body and helmeted head are from an old Stealth Iron Man figure, so I guess the whole figure was swapped, but this guy couldn't be bothered to leave the hands in. Still never seen an Iron Skull in the wild at Ontario WMs. Good catch, complete fodder returned. Photographed this at Walmart Barton Street just a couple hours ago. The reflection distorts the face, but that's a Movie Masters Harvey Dent that replaced the Jay Garrick. The BAF piece was switched out too with a BAF Allfather arm I believe. I alerted staff so hopefully it'll stay off the shelves. I checked my Walmart again last week. Those 4 trolled Marvel Legends had been removed from the shelve, big thanks to that Hasbro rep! Solution: Non collector friendly packaging. 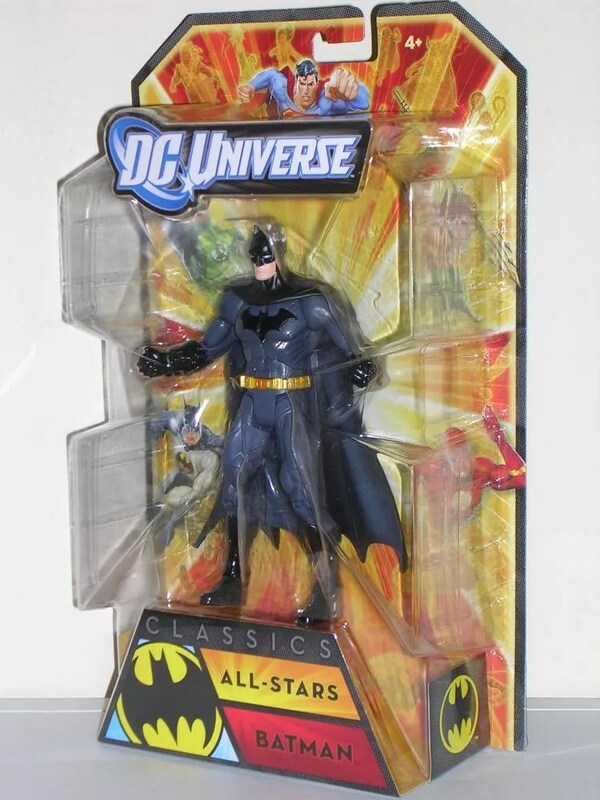 While its been nice to keep boxes to store un displayed figures, its probably time for Hasbro to change up the packaging enough that one cant simply open a box and swap out BAF parts or entire figures and return them to the retailer without question. Not saying full on toybiz plastic clam shells, but there has to be another way. I have probably seen at least one figure/BAF swap on every visit to walmart for the past 3 years. As much as I'd love to say "train employees better"...the bottom line is most of them just don't care. I agree! Even just the old DUCU style packaging would do the trick. 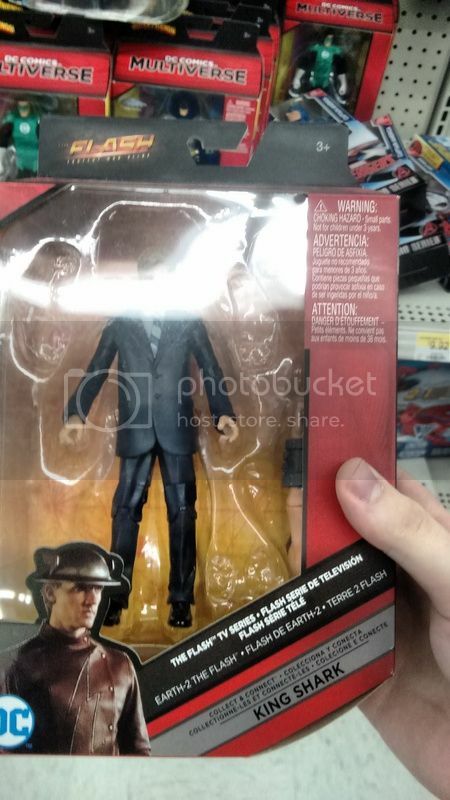 Although this figure is a Walmart's exclusive, I have seen it before at a ToysR'Us... Someone in Vancouver is playing the refund game so well. I know many retail people don't care and will issue a return on almost anything, but the figure is clearly "broken" or "incomplete"...I could see missing the accessories but no head? c'monnnn. These scams are really screwing us over for getting new figures at the big box stores. Last edited by barfallo; 07-17-2017 at 05:52 PM. Every store needs to put all their old ML on clearance, but they don't because all the waves use the same or similar codes. So the reasoning is, why would we put these misty knight figures from an old spider-man wave on clearance when the next spider-man vulture wings wave is on it's way with the same code. Another problem seems to be nothing ever goes on clearance/deep discounts at toys r us and walmart like they do in the states. All my local stores are sitting on mountains of old DC, marvel and star wars, and two years after being filled to the brim with pegwarmers, walmart is just now clearing out star wars black series for half price. All it would take is a non removable seal like on an xbox or ps4 if you peal it off it leaves the box all fucked and have the small white words " No returns if seal is broken, contact hasbro for broken toys"
Done and done. Collectors keep their boxes and consumers dont get fucked by swappers!